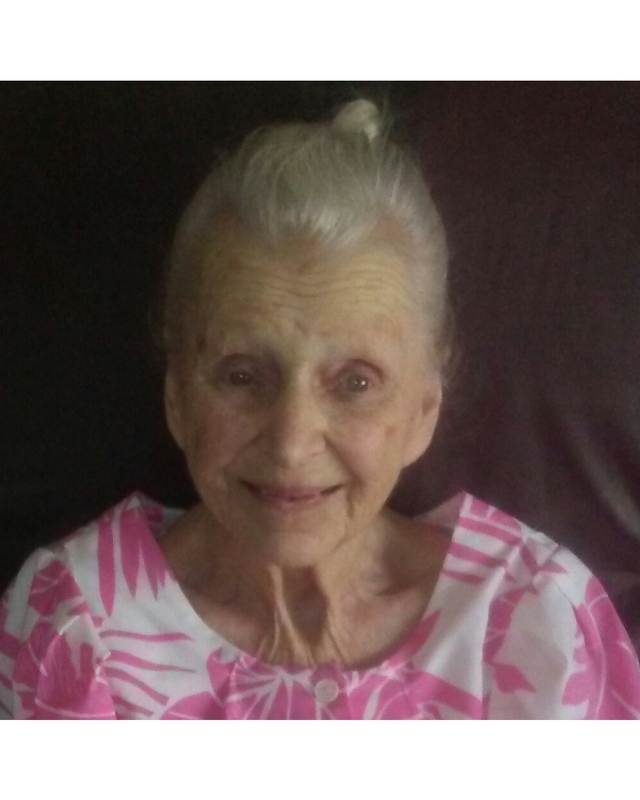 Thelma Garven passed away at her Antioch residence which she shared with her youngest daughter, Mona Dewitt and her son in law Henry Dewitt and grandson Bobby Dewitt for the last 10 years. She was born January 11, 1931 in Columbus, Ohio and passed away on March 23, 2019 she was 88 years old. She leaves behind 4 daughters, Deborah Hyatt of Sparta Mo., Alice Gibson of Pittsburg Ca, Toni Becker of Reno NV and Mona Dewitt of Antioch CA. She had two younger sisters, Rose Ann of Texas and Ruth Hamilton of Oklahoma. She was married to George William Glenn from Pataskala Ohio, now deceased 2 years. She also had six siblings now deceased, Alberta Kean, Earl Brown, Bill Brown, Donny Brown, Jim Brown, and Alice Sammons. She leaves behind 6 grandchildren and great grandchildren. She spent her days watching Christian television shows, listening to gospel music, and daily bible study. Daily prayer time for family and loved ones. She enjoyed family gatherings, family vacations, good food, good friends and morning coffee. Laughing, sharing childhood memories and a good joke. Her favorite color was hot pink. She will be laid to rest at Oakmont Cemetery in Lafayette, Ca. beside her late husband, Robert Garven whos been deceased for 24 yrs. A graveside service will be held as a memorial for her life with family and loved ones. The date and time still pending.